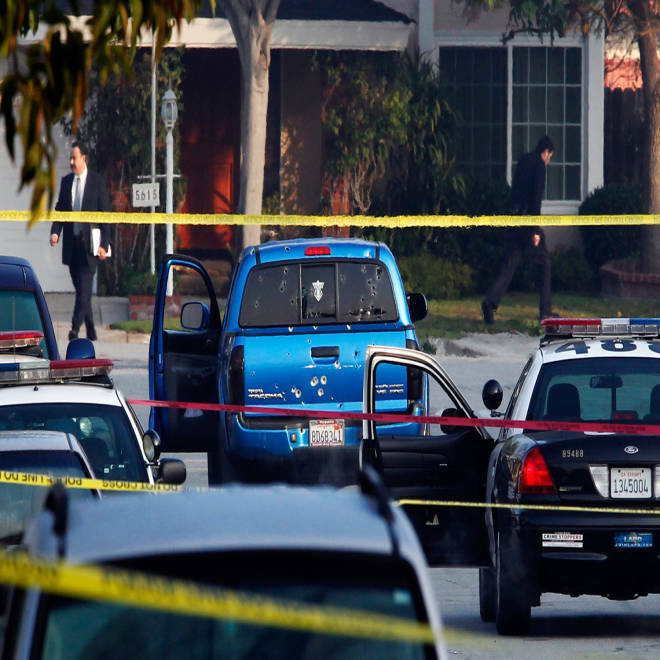 Police detectives investigate a shooting incident involving a blue Toyota Tacoma pickup truck in Torrance, Calif. Police opened fire on the vehicle in a case of mistaken identity while searching for former Los Angeles police officer Christopher Dorner. Updated at 5:59 p.m. ET: A mother and daughter who were mistakenly shot by Los Angeles police hunting for rampage suspect Christopher Dorner had no warning before bullets started whizzing through their newspaper-delivery truck, their lawyer said Friday. "No command, no instruction, no warning. They just opened fire on them," said Glen Jonas, who is representing Emma Hernandez, 71, and Margie Carranza, 47, in possible legal action against the Los Angeles Police Department. "They had no idea what was going on. They're huddling, covering up and praying and hoping they're not going to die." Both women survived. Hernandez, shot in the back, was in good condition Friday. Her daughter suffered a hand injury and is physically fine but emotionally scarred, Jonas said. The LAPD admits the predawn Thursday shooting was a case of mistaken identity that unfolded while police were guarding the Torrance home of someone named in a manifesto that ex-cop Dorner posted online about his twisted plans to avenge his firing. Chief Charlie Beck said the officers saw a vehicle that matched the description of Dorner’s, driving through the dark streets with no headlights —and a "police-involved shooting" ensued. Jonas said the women's blue Toyota Tacoma looked nothing like Dorner's dark-gray Nissan Titan, but that even if it had been a match, the police should not have fired on it. 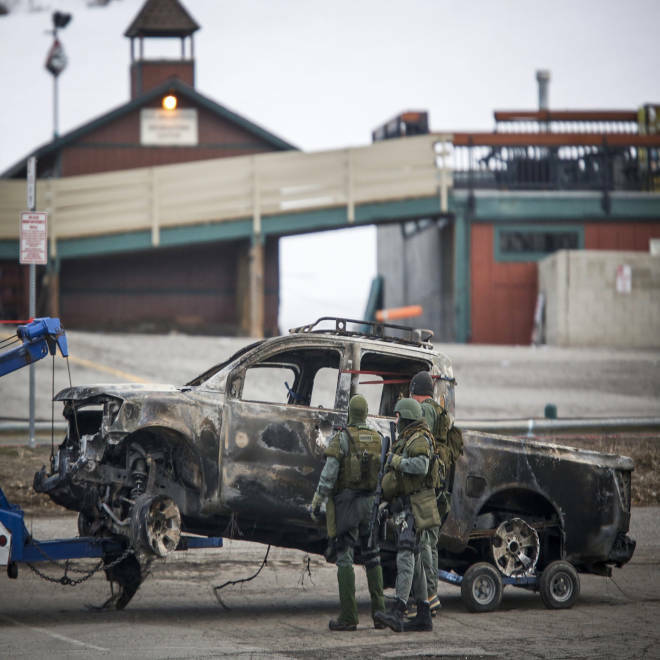 Officers investigate a burned truck that is believed to belong to Christopher Jordan Dorner at the base of Bear Mountain Ski Resort in Big Bear Lake, Calif., on Thursday, Feb. 7. "They still have to give the guy an opportunity to surrender. You can't just execute him," the lawyer said. "It's in these high-stress situations where you follow your training and they violated every piece of training they ever received." The LAPD had no comment on Jonas' claims, but it told NBC News the six cops who opened fire had been put on paid administrative leave — standard operating procedure for any officer-involved shooting. Jonas said he expects the city will offer his clients a substantial payout; if not, he plans to file a federal civil rights lawsuit. "Thank God they didn't die. It's a miracle they didn't," he said. "If it was a movie, you wouldn't believe it."